Whether you are looking for a beachfront property to invest in or to spend a weekend at, Porto Laiya in San Juan, Batangas fits the bill. Read our story to know why. The call time was 6 AM. Anyone who knows where I am from would refer to my commute to Makati as either a "field trip" or a challenge because the struggle in areas notorious for heavy traffic (even as early as six) is utterly insane. Good thing I made it! 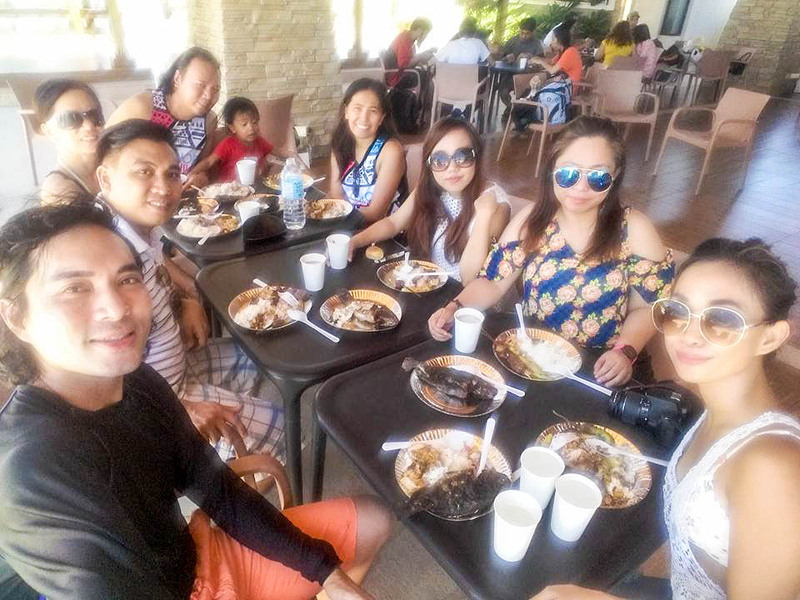 To say "I had a great time at Porto Laiya" is an understatement. In this post, you'll probably figure out why. So I woke up feeling a bit ill. It was 4 AM. I swear I don't hate waking up this early but it's a different thing when I slept quite late the night before... I knew I needed to leave the house at 4:30-ish to make it on time, but my jaw (and ear and throat) is yet again giving me discomfort. I immediately messaged my friend to check if he was ready to go. Apparently, he was also feeling under the weather and was almost convinced to pass on the event especially after I told him the probability I'd not come. "Baka hindi na rin ako makapunta," he replied. Reading it brought me some sort of guilt. If both of us wouldn't show up, I imagine the PR would be inconvenienced. Finally, we decided to put our "bodily pains" behind and just go. I arrived past 6. The shuttle to Porto Laiya stood by the Shell Station across from McDonald's Buendia. I found other bloggers Ate Nats, Kim, Gus, and Joel finishing their breakfast. I got my breakfast meal take out and proceeded to the shuttle outside. We left past 7AM. More bloggers and real estate agents accompanied us in our trip. I shared the backseat with Kim and Ate Nats. 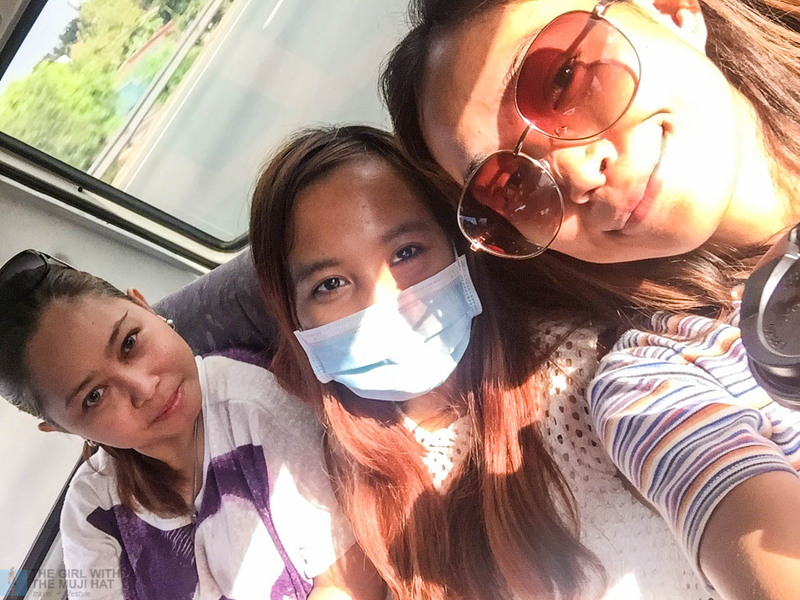 Our main goal before arriving in Batangas is to make our brows on fleek! By the way, I realized it is more challenging to eat in the backseat. There is much turbulence. I'm kidding. It was a bumpy ride. Poor Kim coffee spilled all over her sleeves. Nonetheless, the long trip was amusing. 1) If this property is exclusive (with very tight security), how would it be accessible to the non-residents? 2) Do they have some kind of membership? 3) How much is a property here? The questions faded into blur as we approached the Tamarind Cove. My attention was caught by the swaying coconut trees and the view of the beach not far off. 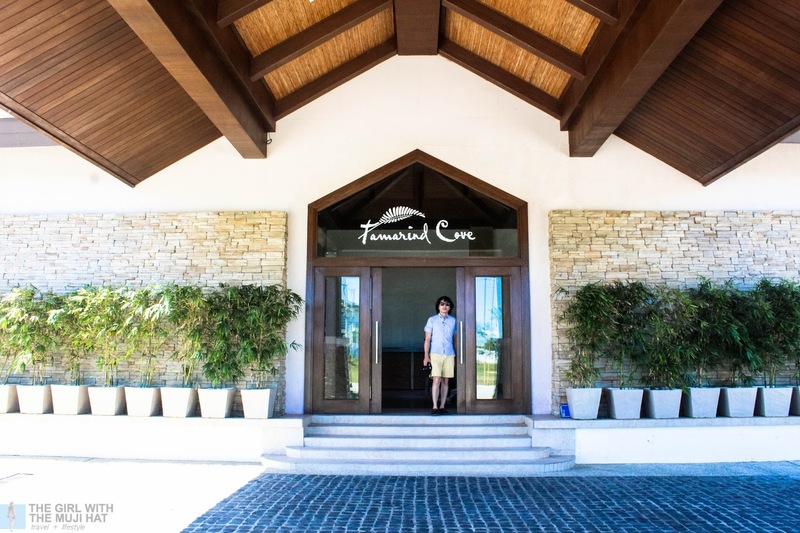 At the Tamarind cove you'd find wooden pavilions and walkways, Nipa huts, cabanas, changing rooms, rest rooms, infinity pool, restaurant, and an expansive beach area. Why is it called Tamarind Cove? 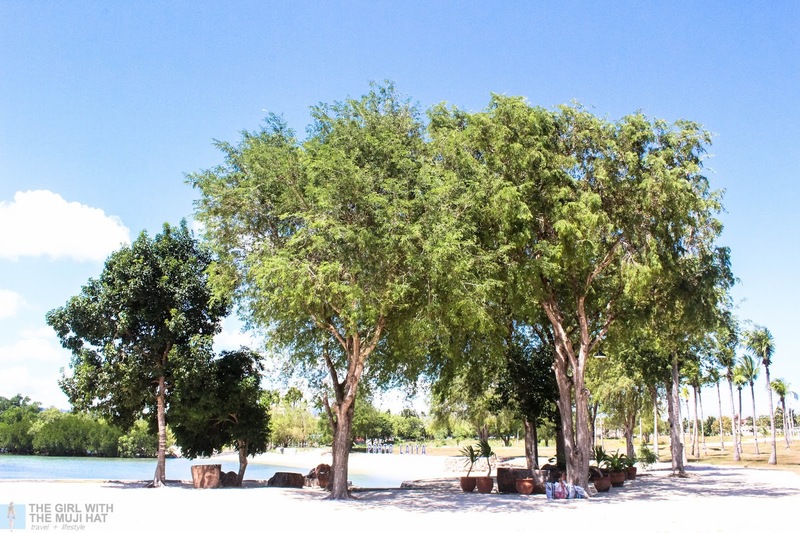 I'd guess it's because of the Tamarind trees dotting the front beach of the property. Other trees present are coconut trees, mangroves, other plants I am not familiar with the names. 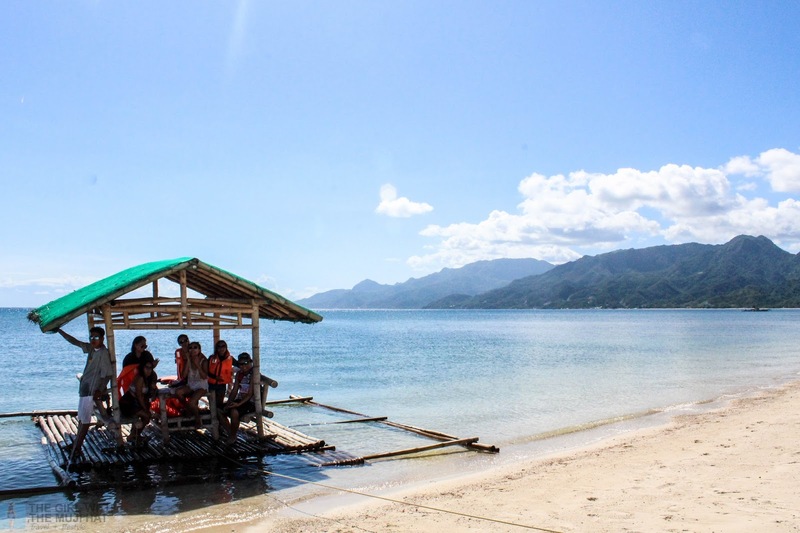 I'd say that for Porto Laiya residents, "life is a beach". The most interesting activity (since we didn't have any watersports vehicle) is snorkeling. Truth be told, I wasn't too excited when my friend said part of the itinerary is snorkeling. I didn't bother bringing a snorkeling gear. I have this stereotype that the snorkeling sites in Bantangas are not that great. They are okay but not worth the space in my bag (because my friend's snorkeling mask is bulky). BUT. SNORKELING. AT PORTO LAIYA. SURPASSED. MY. EXPECTATIONS. READ ABOUT IT HERE. In my theory, the snorkeling site surely benefited from the resort's exclusivity and the resort owners' apt management. So, this might be the highlight of our day. 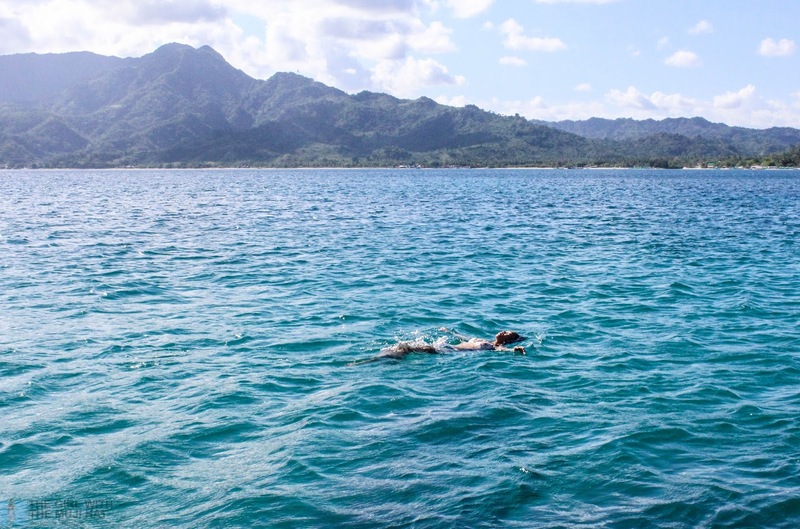 Our blogger friend braved the waters and swam from the shore to the snorkeling site. He made us all worried he'd drown himself. The distance from the shore to our balsa is quite far. Look at the video and be the judge if I am exaggerating. Good thing Joel Jaws Andrada of www.joelandrada.com survived the distance! He's got some great swimming skill! Active Group peeps prepared our food. I enjoyed dining with fellow bloggers. It's always fun to dine together albeit the simplicity of the meal. For guests and residents, you can bring a precooked meal. Or coordinate with the resort's retaurant of you have specific food request. For security purposes, alcoholic beverage is not allowed inside the resort. I got the Porto Laiya flyer that says "come, feed the fish right in your neighborhood." The photo is a woman snorkeling. Isn't it super cool to snorkel right in your neighborhood?! Honestly if I have the proper funds, I'd consider investing a property in Porto Laiya. For one thing, a commercial property in this place has a great potential to generate significant profit once the proposed development by Department of Tourism (DOT) is approved. It was said that DOT plans on developing the expansive beach further to cater to more tourists in the near future. This is something to look forward to for those who cannot visit the tamarind Cove in Porto Laiya at the moment and for investors to deeply consider on. 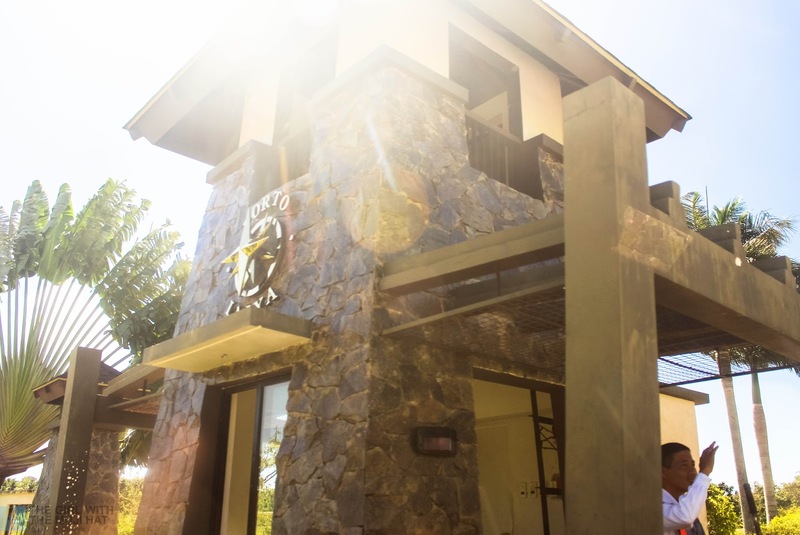 Another reason to buy a property in Porto Laiya is its topnotch security and exclusivity. Finally, the inherent beauty of Porto Laiya's community that matches its seaside tropical setting is something that would never disappoint. The open house is ongoing. Interested investors or lot buyers are welcome to visit twice a month. The open house is on Saturdays. Transportation and snacks are provided. The visit is free. Guests can use Tamarind Cove for free as well. Take the Southern Tagalog Arterial Road (STAR) tollway and exit at Lipa City. From Lipa City, follow the road going to Padre Garcia Public market. Turn right to Quilo-quilo, avoiding the Rosario town proper, and take the road going to San Juan, Batangas. Turn right after the San Juan municipal hall and take the main road going to Barangay Laiya. It is a leisurely 25-kilometer drive to Porto Laiya from the San Juan municipal hall. Take the SLEX and exit at Turbina (Calamba, Laguna) going to Sto. Tomas, Batangas. Then passing through Alaminos, San Pablo, Tiaong and Candelaria towns before turning right to San Juan. Turn left before the San Juan municipal hall to go to Barangay Laiya. 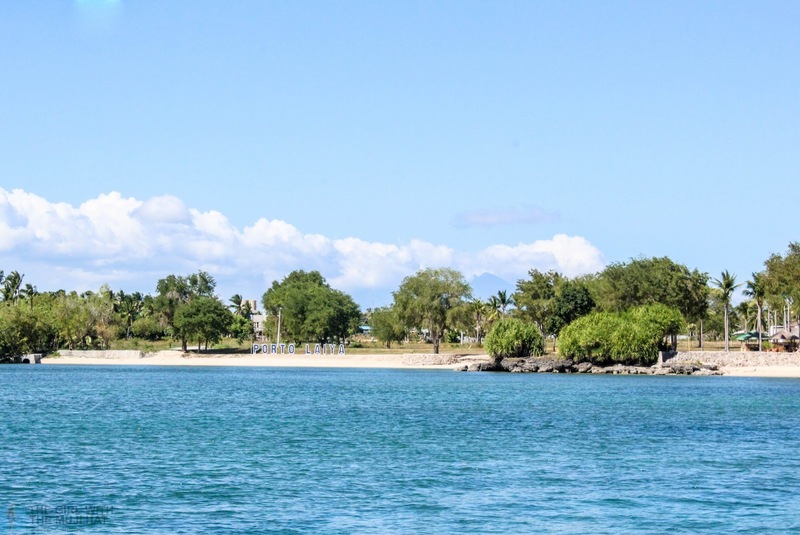 It is a leisurely 25-kilometer drive to Porto Laiya from the San Juan municipal hall. From the SLEX, take the STAR tollway and exit at the Ibaan San Jose toll gate. Turn left to Ibaan via Rosario straight to San Juan, Batangas. Whether you are looking for a beachfront property to invest in or to spend a weekend at, Porto Laiya in San Juan, Batangas fits the bill. 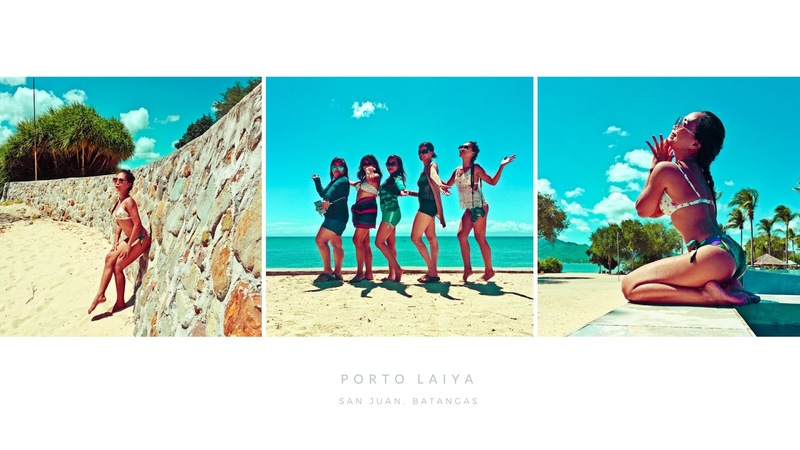 Visit Porto Laiya one of these days. You may be surprised of how good this exclusive property delivers its mission! What do you think about this post? 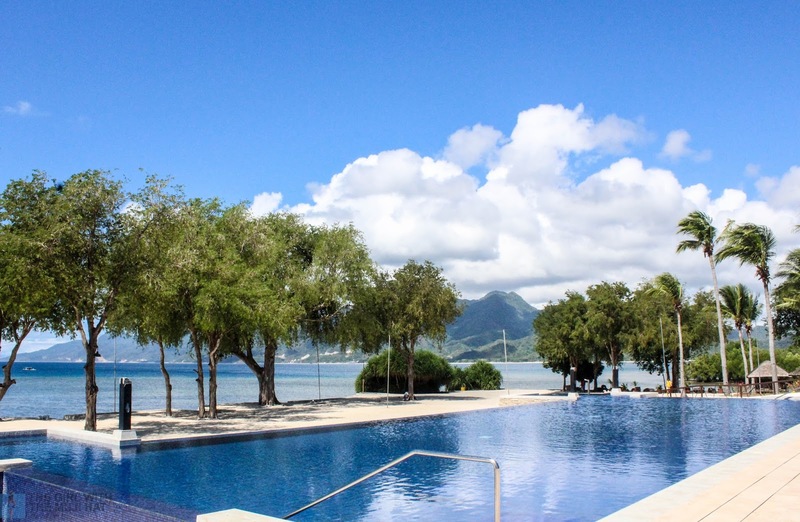 Do you want to visit The Tamarind Cove Beach Resort in Porto Laiya? How about investing a property in this beachfront estate? Let us know your thoughts in the comment section below! Thank you so much!